The fact of the matter is this – the students we teach in our Social Profit Factor academy and the companies we consult with to help them leverage a content calendar often beat the socks off those that don’t. They win when it comes to engagement, community growth and of course also leads and sales. If you care about serving your customer consistent value, you should use a content calendar. When you use a content calendar that is aligned to the needs of your audience, you will be serving them value always. Of course, this also assumes that you are using an audience first approach to marketing. If you don’t know how to do this, we can help you with this too inside of our Social Profit Factor academy. Your goal should not be to simply throw random content at the social wall, hoping it sticks. If you want to stand out from the crowd in the noisy social and digital world of today, you must inspire your audiences to connect with you. As advertising prices soar on platforms such as Facebook, Instagram and even LinkedIn, value is what will attract your dream customers to you. The old tricks don’t work like they use to. If you want “sticky” customers that come back again and again for more as well as tell all their friends how awesome you are, then you better be serving them value as a top priority. When your content finds that middle magic spot aligned to both your business goals and the needs of your audience, this is where the magic happens. Content is a waste of time and money without serving both your audience and business, period. Don’t believe me? Try creating random content that is not focused on your audience or business for a year and then come back and tell me how that worked out for you. 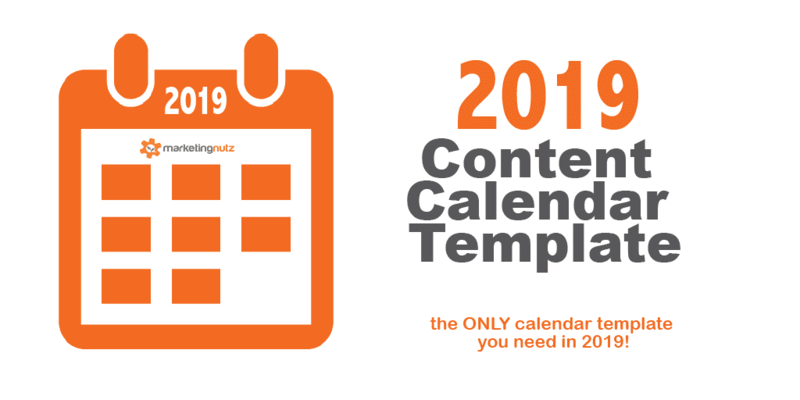 One of the best benefits of a content calendar is to allow you, and any teams you are working with or leading to know what the planned content flow for your brand should and will look like. It’s a much better method than a file or document with a list of random links and posts you have written. These posts and links can and will be used but need to be put in a structured content calendar to see the flow. It allows you to have a solid view of what TYPE of content is being posted – when and where and for what purpose. This may seem like overkill for a small business, or individual – but I’m telling you its not! Like anything, if you plan and execute your tasks in work blocks, it allows you to focus on other areas of your business while the time you invested developing and executing your plan is working for you in the background. Business of all sizes use a content calendar. It’s not just for large corporate organizations with huge teams. When you take the time to create a content calendar the right way, it will force you to think more strategically than just today or tomorrow. It guides you to think about your business, customers, future dream customers, goals, objectives and overall mission. Where do you want to be in 3 months, 6 months, 18 months? What does success look like to you? What is your overall mission for why you are creating content in the first place?